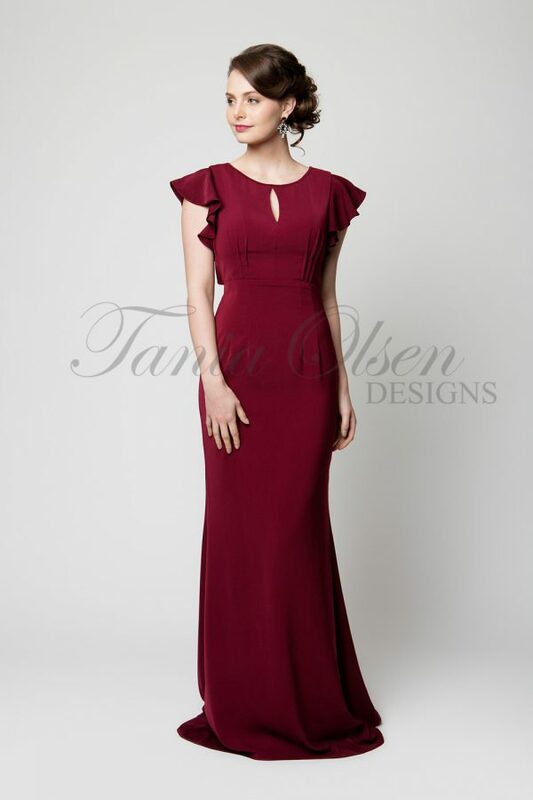 A contemporary twist on vintage glamour, the Elaine Evening Dress is simply stunning. Delicate lace falls gently over the arms in this off-the-shoulder style, before falling to the floor in a mermaid style hem and full lace train. Wear the Elaine to your next formal or evening soiree. 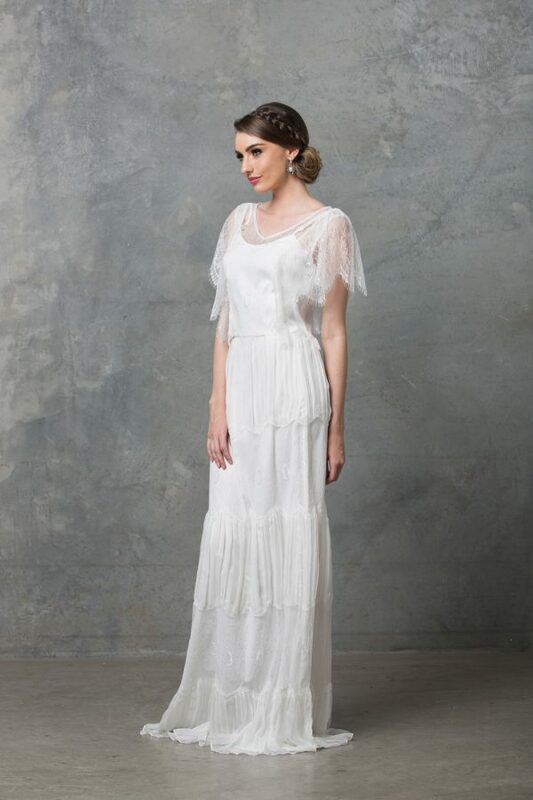 Fabricated from a delicate lace, the Elaine Evening Dress is both classic and beautiful. Accentuating the feminine figure, this dress features in built cup support, full lining, and a lace train. Pair with dark sultry eyes and loose, tousled waves for the ultimate seductive look.